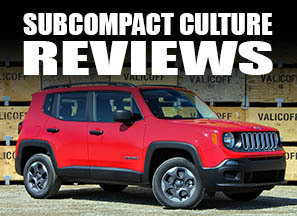 What do you call a totaled 2008 Toyota Yaris with no doors, no windows, no front fenders, retrofitted with ATV tires, a 4-inch lift, a 7-foot wide snow plow, and a host of custom fabricated parts? If you're Scott McClure of Southbury CT, you call it "Crashy." 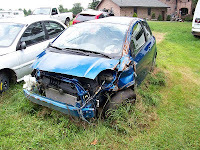 The story begins with a Blazing Blue 2008 Yaris that had been involved in a wreck, totaled out (as evidenced at left), and put on eBay. Scott bid and won the '08 Yaris for a whopping $632. 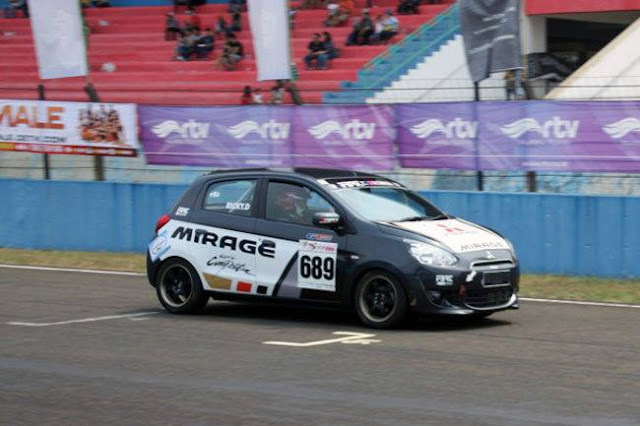 He intended to use the Yaris carcass as a test bench for electronic engine control development. (And I thought slot cars were a cool hobby.) However, as he started to tear the car down—and after using a 12-ton ram to get the wheels pointed in the same direction—Scott decided to take Crashy (the name was given by Scott's kids) for a drive around his property. He scratched the idea of a test bench and went for what he calls a "Yaris Utility Vehicle." A lot of work went into the vehicle to make it a functioning vehicle, let alone a usable plow. He had to first get the Yaris in running order. Then, as mentioned, a custom fabricated 4" lift, plow frame, and brush guard were made and installed; and 15" ATV tires and a 7' SnowBear plow were fitted. 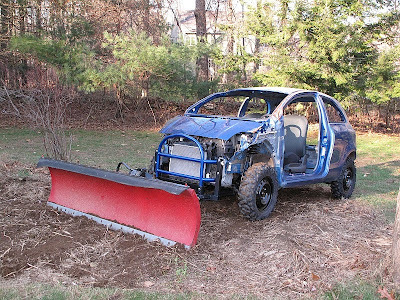 Voilà!—Crashy the Yaris Snowplow. Be sure to watch the video of Crashy in action; it's quite entertaining—and it picks up speed at 1:11. In addition, check out the links below; the YarisWorld link has Crashy's build with more photos and videos. I'd have kept the windows and doors for snowplow duty, myself. Maybe rig up some kind of pickup-type half cab, with or without cutting away the back body structure?